Location: Menai Community Centre (next to Menai Library), Menai Market Place, Menai NSW. Click here for map and location , (heaps of free parking as the building is a part of the shopping centre car park). When you drive into the shopping centre car park the building is at the far end next to the Library. 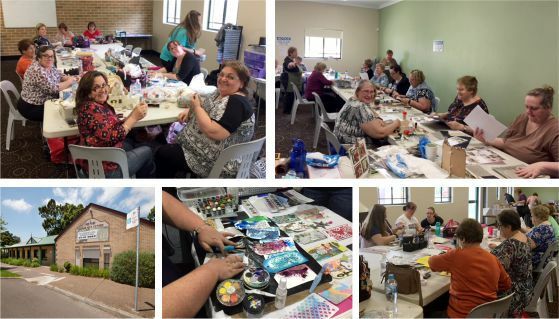 Join Scrapmatts for a fun day of cropping, cardmaking, scrapbooking, classes, shopping, laughing and more. "Cards with Sofie" with Sofie Rossides 10.30am - 12.30pm Details available soon.